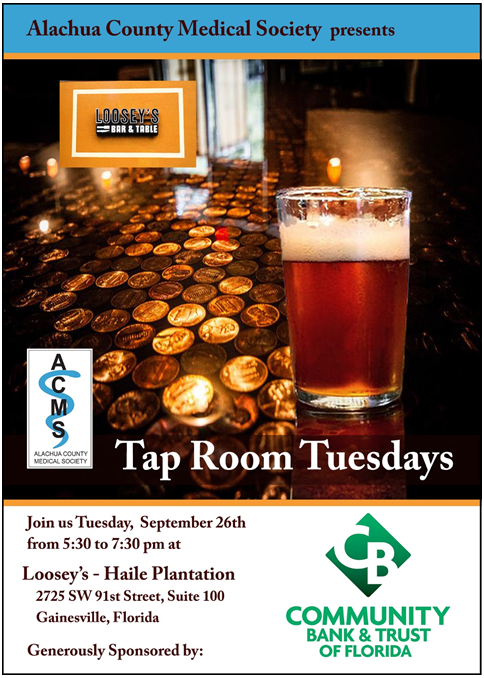 Join us for Tap Room Tuesdays, an event for member physicians at rotating venues around Gainesville. This is a chance for members to meet and discuss current issues facing the medical profession in a relaxed atmosphere. Tap Room Tuesday is held on the 4th Tuesday of the month unless otherwise indicated.